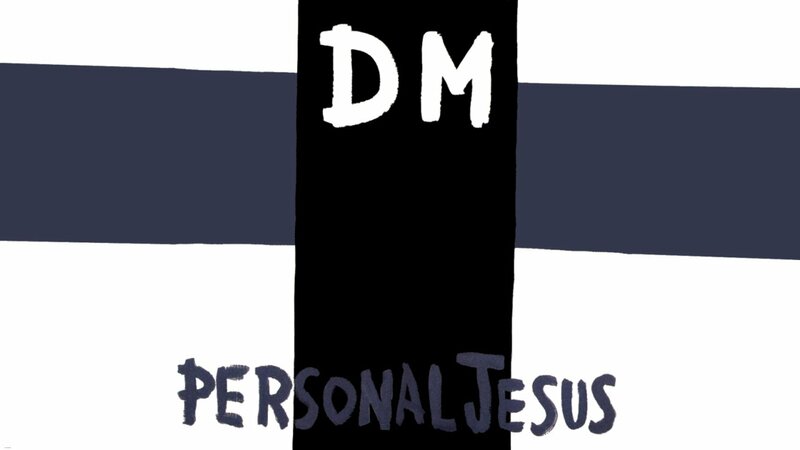 Depeche Mode’s “Personal Jesus” is one of those songs that have relevance for multiple reasons. Rhythmically the song is as contemporary now as it ever was, you might even say it was ahead of its time. 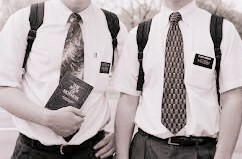 Images of Jim & Tammy Fay Bakker or Jimmy Swaggart might especially come to mind as they were at the height of their ministry just before their subsequent falls at the time. However, the writers of the song weren’t simply addressing the TV preachers of their time, rather, they were addressing the individual needs of people to have a savior. Think about it. The invoking of the name of Jesus calls to mind the divine and sacred—and it forces people to think of the significance of a savior LIKE Jesus, without having to really come to grips with THE SAVIOR Jesus. How did this come about? Well, according to a Rolling Stone article from years ago the biography, Elvis and Me, about Pricilla Presley’s life with her late husband Elvis had inspired the notion of Elvis as a kind of savior to Pricilla. Now harsher words may have never been spoken, but Jesus is using a method of argumentation to make a point. Jesus doesn’t mean we should hate one of the greatest gifts we have been given (that would mean breaking God’s Law), like friends and family. No, Jesus means that our love for the Person of Jesus should be so great in comparison to all other loves that it would almost seem like hatred to others by way of contrast. Personal Jesus expresses a longing for a personal savior in fleshly form, for Pricilla Presley that may have been Elvis, for others it could be sports figures and other entertainment icons, or people in our family, or even our very children. People that we have not only looked to for inspiration but have actually placed our hopes, dreams, and aspirations upon; perhaps even putting them on a pedestal where you might even say they are worshipped. And not the Jesus that we create, but the Jesus who created creation and then became a person to be personally known. A.K.A. the word that became flesh (John 1:1-14). I preached this sermon a couple of years ago and it made a deep impact in my life at the time and I think it had some meaning in the lives of others. 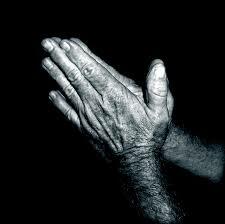 Prayer is the language of dependance and humility…. where better to learn than from the Lord Himself. 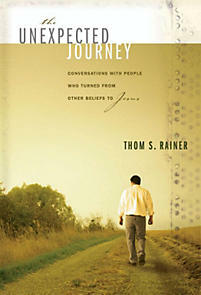 Continue to follow R3D as we examine life, ministry, and culture in light of the wonderful Gospel of Jesus Christ. 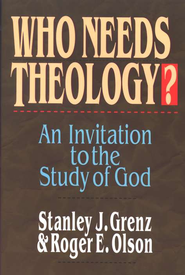 I love this book and have read it multiple times in Bible study groups as I have mentored other men to learn to study theology. It is one of the first books I have thinking Christians read before they tread the waters of the deep (you know what they say, ‘C’mon man I want my Berkhof and I want it now,’ with really intense stare with the TULIP in their eyes and I’m like, ‘Chill out spawn of Calvin and read Roger Olsen for some balance’) and get them thinking about theological frameworks and categories. As I continue to give links and brief introduction to each sermon that will be featured here I am reminded of the wonderful support that I have received from Memorial Baptist Church in New Castle, Indiana. MBC has time and again supported me and given me the liberty to receive advanced theological education and the time that it takes to prepare rich, substantive, Gospel centered preaching. Also, my darling wife (Rachel) has made enormous sacrifices for the Kingdom of God and considers them only slight and momentary in light of the surpassing greatness in service to our King, Jesus. The next link share in the R3D preaching series will be examining what the Gospel of Luke has to teach us about the necessity of prayer. The Karate Kid was the first movie I ever saw on Beta-vision, yes, its official—I am getting old. However, the key thing about KK, at least in the original 1984 version (what in the world was the Jaden Smith movie about anyway???) is that it really took root in the children of the early 1980’s. The KK can be accused of being sappy on some level by modern standards, but it forever remains one of my favorite movies. Why? 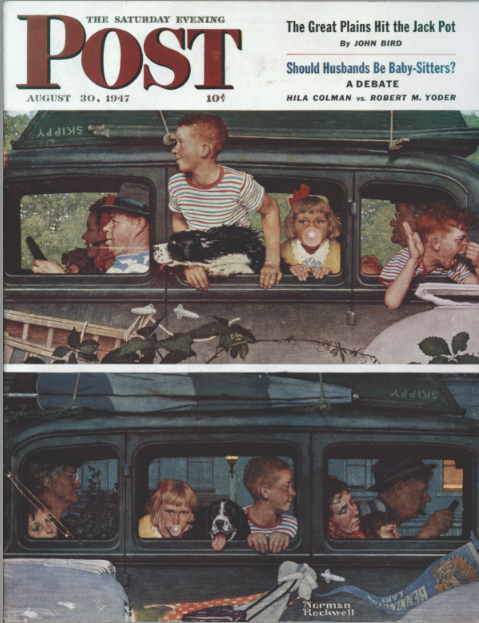 The reasons are varied, perhaps it is because that it was a very formative time in a childhood and I was just attached to things I really enjoyed. Or maybe it’s because I always envisioned that one day I would simply paint the house, sweep the floor, and wax on and wax off and mysteriously be transformed from 7 year old kid with a slight speech impediment to a deadly ninja over night. Then again there may be another reason. Maybe its just that the KK dealt with the universal themes of good and evil, but only in 1980’s terminology. The Cobra Kai’s (the wealthy elitists from good side of town) have made it their priority in life to bully, intimidate, and make life miserable for the poor outsider—Daniel Larruso. Larruso is out matched at every turn and angle. What is his way out? Daniel has to learn to meet violence with violence, but “…Not from the Y Ma, but from a good school.” So, Daniel Larruso comes under the tutelage of the Okinawan Karate Master—Mr. Miyagi. Through repetitious and monotonous and unorthodox labor, Miyagi turns Daniel into a humble and unlikely hero who eventually faces all of his foes in the local Karate tournament. Through the best montage of the 1980’s (only rivaled by Rocky IV) , set to “You’re the Best Around,” we discover that Larruso defeats all of his enemies through sheer force, then after defeating them—they are reconciled to him in the final scene where Jonny Lawrence says, “Your all right Larruso,” and hands Daniel the All Valley Karate Trophy (seemingly passing over the fact that the Cobra Kai’s have gone to great lengths to possibly seriously injure if not cripple him for life, but hey Crane Kicks have a way with making you friends). Now what does the Gospel have to say about this seemingly innocent—Reagan-era-Rocky style-romp? Well, the universal theme of injustice sticks out like a sore thumb. The rich oppressing the poor and taking delight in it is a very real issue in the KK. The Cobra Kais are true to their creed—they are snakes, clad in Michael Jackson zipper jackets, with skeleton paint on their faces, they represent oppression and tyranny. They are strong, handsome, wealthy, athletic, and privileged class of kids that most preppy 80’s children aspired to be (alright, not all preppy-teen were all out to kill people with their Kawasaki’s and leg sweeps). On the other hand, Daniel Larruso represents an unwanted outsider, who appears weak, small, and different. Daniel is almost like a prophet in some ways, the outsider, who kicks against the established hierarchy by challenging the lead dog, Jonny Lawrence, where one day at the beach when Allie (with an ‘I’) gets her “Boom Box” (aka Ghetto Blaster for children of the Zeros) slammed into beach Cobra Kai style. From there Daniel will take a series of beatings and mistreatments, ultimately rescued by his mentor, friend, and new father-figure—Mr. Miyagi. So, through Miyagi, Daniel becomes a young Jedi, err, I mean a young Karate master in training. Daniel goes into full-blown mode, seeking revenge, triumph, and finally attaining acceptance from the community that once rejected him. But that’s where the story takes a sharp departure from the Gospel of Christ. The KK would be closer to the Gospel if in the scene where the Cobra-Kai Halloween Scream-Team would have not only beaten Daniel, but also murder Daniel without his father-figure coming to rescue him. The KK teaches a simple message of when treated wrongly, learn Karate and kick someone in the mouth (i.e. Lex Tallionis), but the Gospel shows us something entirely different. So, in the KK we see one who is weak, despised, rejected, and the unlikely hero and in the Gospel we see the same thing too. But their roads take two different paths to victory. One seeks justice in triumphing over his foes by overcoming with brute strength, the Other seeks justice by unjustly submitting Himself to weakness, humility, and death, even death on the cross (Phi. 2:8). 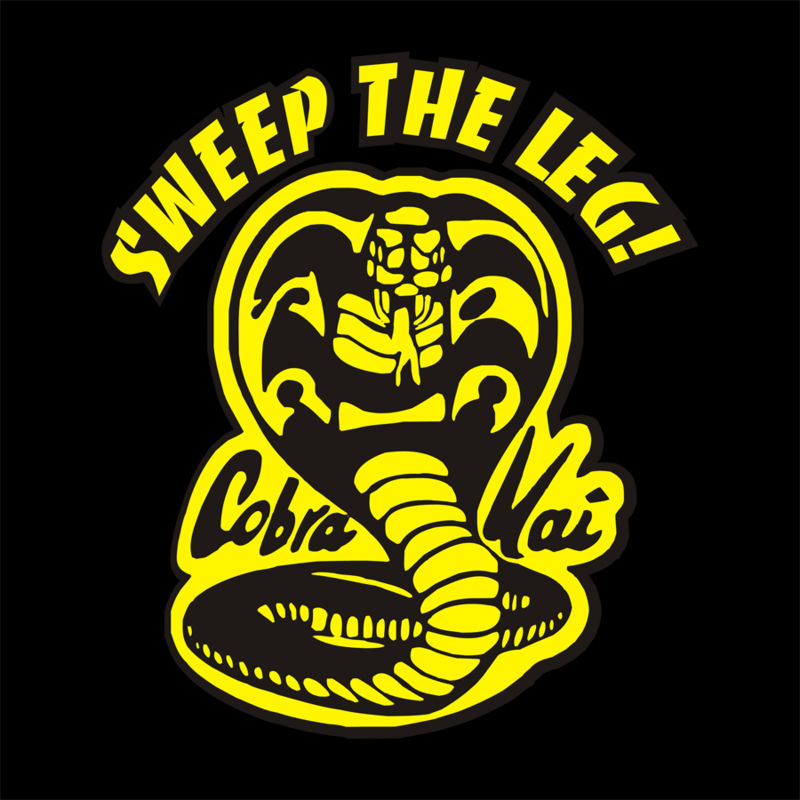 In the one the Cobra Kai’s are defeated by a Crane Kick, in the other the Serpent is defeated by the Cross of Christ. War Cry: Life in the Spirit of Christ, Part I: The Divine Nature of the Holy Spirit. via War Cry: Life in the Spirit of Christ, Part I: The Divine Nature of the Holy Spirit.